Blowout Sale! Free Shipping Included! 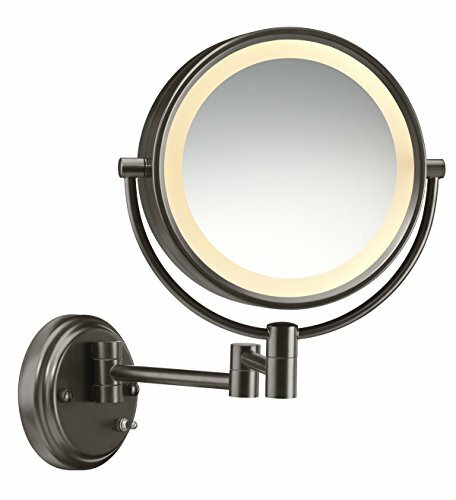 Save 54% on the Conair Round Shaped Double-Sided Wall Mount Lighted Makeup Mirror; 1x/8x magnification; Oiled Bronze Finish by Conair at Delta Everett. MPN: BE6BXBR. Hurry! Limited time offer. Offer valid only while supplies last. This Conair Incandescent Oiled-Bronze Wall-Mount Mirror provides warm illumination as you apply and remove cosmetics and care for your complexion.